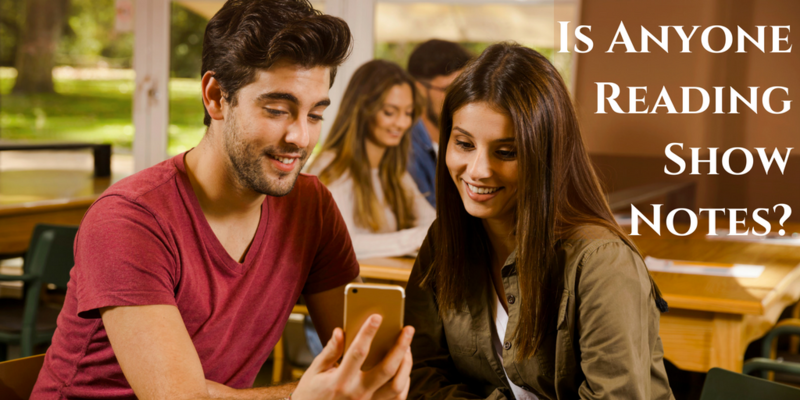 Why are Only 62 Percent of People Reading Your Podcast Show Notes? I received 360 responses to this question, and if you do read show notes (better known as a description of what is in the podcast) what are you looking for. 1:45 Edward Schmitz from www.vidanostrilhos.com.br was featured on a TV show in Brazil. 4:30 Kim Kraji ( from www.toastmasters101.net ) explains why she became a School of Podcasting Affiliate (and I set up www.schoolofpodcasting.com/kim for her to send her traffic). If someone signs up she earns a commission for every month they stay subscribed. Go to www.schoolofpodcasting.com/affiliates and sign up today. 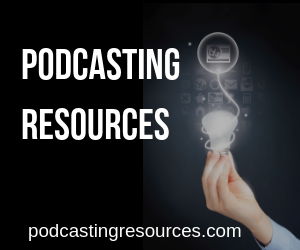 Your Podcast Show Notes: What To Include, How Long, and is Anybody Reading Them? 8:33 Carey Green of podcastfasttrack.com feels show notes are important. He is surprised how many people don't put their social links in their show notes. 12:22 John from the Hate to Weight Show ( www.hatetoweight.com ) also wants social links and links to anything (like a video) mentioned in the episode. 14:38 Eliquite from the Travel Gluten Free Podcast (www.travelglutenfree.me ) is looking for resources. She hates show notes with one giant paragraph. [17:11] John from www.professorslots.com (a podcast about how to win at gambling) also looks at show notes and is deeply disappointed when you say you will put it in the show notes and you don't. 25:53 Kim from www.toastmasters101.net will read the show notes when they are emailed to her. [28:49] Lee from www.covertnerd.net loves to use show notes for a resource. 30:34 James from www.podnews.not does NOT look at show notes. I interviewed James a few episodes ago. Always show links with the URL visible. These links will be clickable in Apple Podcasts and will be visible – if not clickable – in every app. Using word links won't always work. Formatting, like using of the strong tag, may be ignored by many podcast apps. Ensure your show notes don't require this to be faithfully shown. Be aware that accented characters may not display correctly. [41:50] Do you have an email list? If so how big is it? What system/tools do you use? Any tricks on growing your list. 42:31 I read an article that said 8 out of 10 people will actually read your headline, but only two out of 10 will read the article (this was about blogs), but it goes to show you how important your headlines are. In podcasting, the title of your blog post or your episode is your headline. There is a cool tool called Fresh Title. I have video demonstration at http://davidjackson.org/podcast-titles there is also a cool plugin from Thrive themes that you put in multiple headlines and it tests and uses the best headline. Where Does the Apple iTunes Summary Appear? [44:26] The Apple iTunes summary is just a few sentences that appear above the player. It is NOT a case where it is either the iTunes Summary or the Description BOTH appear. When making your Headline and Title for Appel Podcasts, do NOT put the episode number of the name of your show in the title (they just want the TITLE in the title). Put the episode number in the episode number field. Loved this episode and the perspective of many different takes on show notes. I had the same dilemma of putting my contact information first, and Spotify uses that information for the “teaser” sentence. I also notice a few times a podcast with sponsorships will not include an affiliate code in the episode. I want to support them, especially if it’s a well done host read ad, but can’t if I don’t see a code. Definitely takes time to put together links on episodes, but it is valuable and also provides that citation of the source for the topic. I try to write down all of my sources.